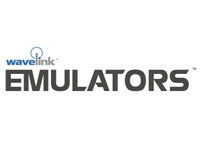 Wavelink Emulators extend mission-critical business applications from legacy back-office mainframe and midrange computer systems to the front lines of the mobile workplace for companies that have high volumes of goods, assets, and business information. Wavelink Emulation software provides the most comprehensive solution for accessing, persisting and managing connections to applications resident on host systems using 5250, 3270, VT and HP emulation. Wavelink Emulators provide rich support for all of the popular emulation types including 5250, 3270, VT100, VT110, VT220, VT320 and HP. Wavelink Emulators provide the ability for a help desk or support representative to “remote control” a user’s Telnet session and even lock the end user out of the session if desired. This allows for hands on support of production problems and ultimately gets workers back to being productive rapidly. Wavelink also provides session logs from each device to provide performance insight into areas such as scanning levels, battery issues, time logged on system and more. connections between devices and the host system, using the Wavelink TermProxy as part of your Emulation solution. Devices can freely roam in and out of RF coverage while maintaining application state and seamlessly reconnect to the host. Sessions will also survive a device reboot or battery change allowing users to continue working without interruption. The TermProxy server also provides complete failover capability eliminating the potential for single point of failures, which are present in other companies’ server-side emulation products. Allow your users and IT staff to operate more efficiently, including the ability to: configure error messages from the host as highlighted overlays; automatically send data after the last scan; and send blocks of data more efficiently. Preserve your existing infrastructure, while having the flexibility to migrate to newer devices and technologies. For example, DOS/legacy units can co-exist with Windows-based devices for a seamless user experience. Configure and update software and configurations on remote devices from a central console, lowering your support costs. 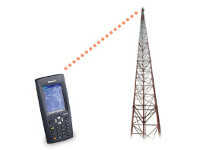 Using the integrated Wavelink Avalanche solution, you also get complete visibility and control over mobile devices. 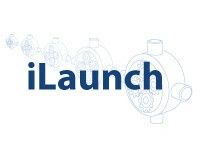 ActiveSync, HotSync, Symbol AirBeam, and LWP are also supported for deployment. 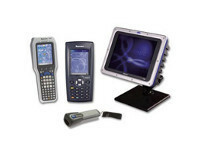 Take advantage of tight integration with key scanning functions to maximize data collection productivity. Automatically strip, append, or replace scan data based on length, size, data type; prevent scanning errors using data field identifiers and “scan only” field support; perform automatic scanning using host initiated commands; and more.